Thin film interference on soap film. 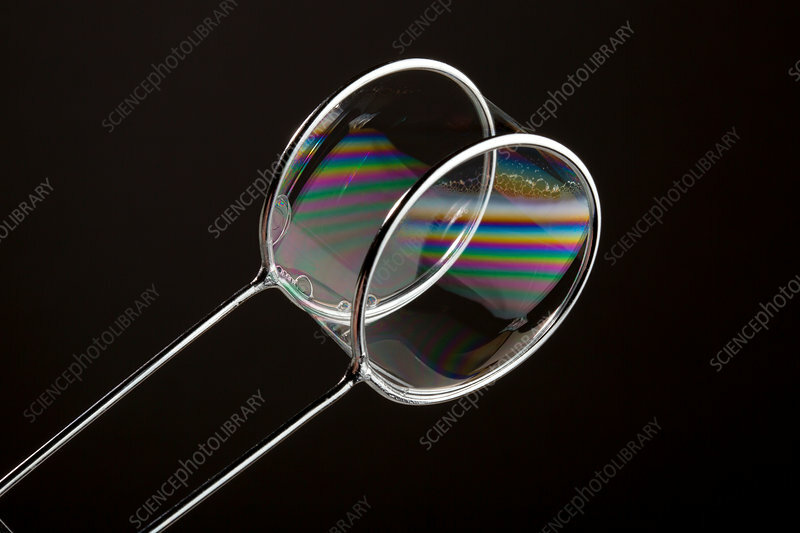 Double hoops capture a soap bubble and keep it as a cylinder. Bands of colour are created by white light shining on a film of soap. Some of the light reflects off the surface of the film, while the rest of the light travels through the film and reflects off the back of the film. The colours are caused by light waves interfering with each other in a process called optical interference. The different colours are caused by different thickness of the soap film.